Most electronic cigarettes or vape pens are comprised of two primary components, the flavour cartridge and the battery. Vapour cartridges are filled with vapour liquid ie. eliquid or e-juice; when you vape, a solution of nicotine and water vapour is produced which upon inhaling releases the nicotine into your body. This is modern day smoking. It’s always wise to use the best E Liquid and best E Cig that you can buy to ensure you get the best flavour from your electronic cigarette, and less nasty chemicals typically found in cheaper brands. Some electronic cigarette cartridges contain built in atomisers, so there is no cleaning or maintenance required, but with others you may have to buy an atomiser separately – just make sure the one you buy is compatible. Good e cig retailers should make it clear for you. Since e-cigs have come about, there have been quite a few different types to hit the market. It’s important that if you’re buying an e-cigarette for the purpose of smoking cessation, that you have a good vaping experience so you take to using your e-cig exclusively rather than going back to conventional smoking. The more traditional e-cig looks a lot like a standard cigarette, you will commonly find them in petrol stations and corner shops – to all intents and purposes these e-cigs “almost do the job”, the user will get their nicotine hit and it will feel vaguely like smoking – but healthier. The issue with these “cheaper” e-cigarettes however is that many users find them lacking, they’re limited in flavours, they don’t produce much vapour and generally they are of lower quality so don’t last long – so ultimately… they’re not even that cheap. Best to find a proper good vape pen or e-cig! Many users will likely move on to a good quality e cigarette. 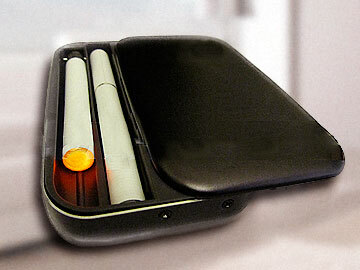 These will cost slightly more initially but still less than cigarettes when looked at over a period of a month or two. Some brand types are refillable – here you need an e-liquid that you use yourself to fill the cartridge or “tank”. They are also manual meaning you activate the e cig whilst inhaling by pressing down on the on button. These are known as eGo e cigarettes or vaporizers and are often large and can be awkward for general use and carrying around especially when starting out. Since the batteries are larger they require less time between charges so can last longer than the smaller “cig-a-like” e cig between charges. Many have a number of parts that need cleaning and or renewing making them relatively less practical. Often they also have variable voltages where the user can alter voltage in order to vape the eliquid at different temperatures. All this is fine once you are past the initial stages of using an alternative to smoking but at outset can cause a lot of anxiety which really one wants to avoid when stopping smoking. View our best Vaporizers for 2018 – for more advanced users. Other brands offer pre-filled refills or cartomizers so are much simpler and easier to use, especially when starting out. These are also known as the mini-e-cig. These are cigarette sized consisting of only 2 parts – battery and pre-filled e-liquid cartridge. You purchase the refills and simply screw on to the battery. Each refill will last around 15-20 cigarettes. So no cleaning or messing with eliquids. They have an “auto” option meaning the e-cig allows you to vape simply by taking a puff. No “on” button to press so more like smoking. These are recommended for those starting out because of their simplicity, practicality and cigarette like feel which allows a straight forward no-nonsense transition from smoking to vaping. They can be of high build quality too, vaping the e-juice at a higher wattage generating a more satisfying hit with plenty of vapour. Mods or APVs (Advanced Personal Vaporizers) are simply hi-tech BIG e cigarettes. Significantly larger than the two types described above offering many customizable options and functions. The objective is primarily to offer the user a powerful device that the user can use to change all manner of electrical inputs. In one way these are ridiculous because smoking is so simple. Most people simply want a solution that gets them off cigarettes not a device that produces the vapour associated with a steam train – I never smoked three cigarettes at a time to get more smoke – if you need more nicotine per puff increase your e-liquids’ nicotine strength. I’m not a fan and advise beginners and those starting out to avoid these expensive devices. There are vaporizers available that do a better job more easily! Like anything manufactured today there is always a niche market that will just love these things though. The brand – Brand is important when buying an e-cigarette because as the industry is relatively new, and the vast majority are simply imported from China and re-branded – most e cig companies simply re-brand a generic e-cigarette and are in fact re-sellers! It’s important that you stick to reputable brands that test their products rigorously. Innokin and V2 are proven to be reliable. If you haven’t heard of the brand, it’s better to just not bother. The Tobacco Product Directive (TPD) has made a start on ensuring compliance within minimum standards for e cigarettes and e liquids. Ensure you buy the best e cigarette by reading our reviews! Compatibility – If you’re buying any parts separately such as batteries or atomisers – ensure the parts are compatible. If you’re new to the vaping world, the easiest products to start with would be kits where everything you could possibly need is included. See a suitable starter kit here. Short circuit protection – This becomes more important the higher the power e-cig. “Mechanical mods” generally do not come with this feature so unless you trust yourself not to make any mistakes, stick to more conventional equipment like shisha pens. Get the best e cigarette – read our reviews! HEALTH WARNING – Smoking Kills: E-Liquids that are not properly tested and do not give a list of full ingredients could also seriously harm you.